Planning on picking up an Xbox One X? You'll be happy to know that it will support 4K streaming through the Amazon Prime Video app when it launches on November 7. Nor will this feature be limited to US Xbox users. As of today, the Amazon Prime Video app is available globally on Xbox One. In the words of Microsoft's announcement on Xbox Wire, this is true from "Australia to Canada and even Bhutan to Uzbekistan." It's another big move in Amazon's continuing battle with Netflix, which has already managed to extend its availability to almost every country in the world. Amazon followed soon after in December of last year, bringing its young streaming service to more than 200 countries. Up until now, you could only access that service on the Xbox in a few countries, but now Xbox users in countries like Canada, Mexico, France, Italy, Spain and India can enjoy it as well. 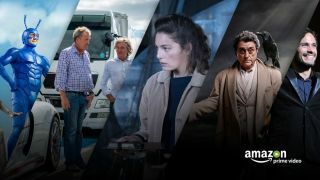 That's especially appealing now, as Amazon has managed to produce an impressive line of critically acclaimed shows such as The Man in the High Castle, Transparent, Mozart in the Jungle, American Gods, The Tick and more. You'll also be able to watch 4K video with the app if you own the Xbox One S, but unfortunately the original Xbox One won't be able to handle it.